— Douglas Brinkley, author of The Wilderness Warrior: Theodore Roosevelt and the Crusade for America and Rightful Heritage: Franklin D. Roosevelt and the Land of America. 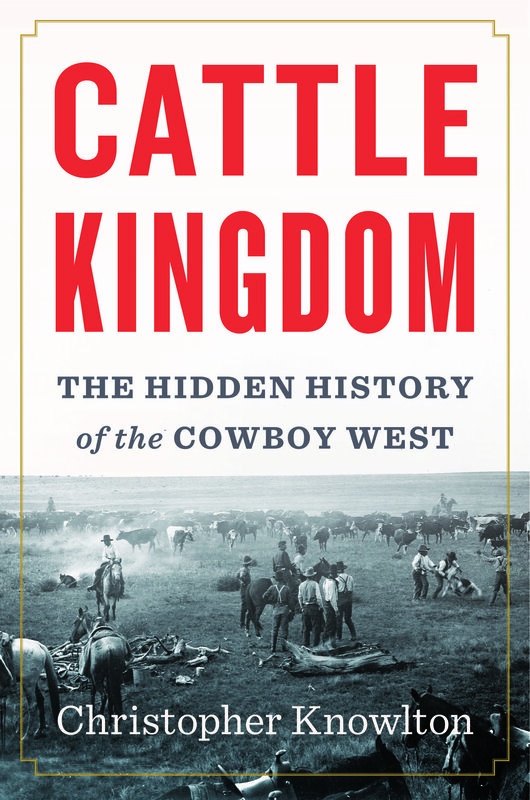 Cattle Kingdom: The Hidden History of the Cowboy West is a revolutionary new appraisal of the Old West and the America it made. The open range cattle era lasted barely a quarter-century, but it left America irrevocably changed. These few decades following the Civil War brought America its greatest boom-and-bust cycle until the Depression, the invention of the assembly line, and the dawn of the conservation movement. It inspired legends, such as that icon of rugged individualism, the cowboy. Yet this extraordinary time and its import have remained unexamined for decades. Cattle Kingdom reveals the truth of how the West rose and fell, and how its legacy defines us today. The tale takes us from dust-choked cattle drives to the unlikely splendors of boom-towns like Abilene, Kansas, and Cheyenne, Wyoming. We venture from the Texas Panhandle to the Dakota Badlands to the Chicago stockyards. We meet a diverse array of players—from the expert cowboy Teddy Blue Abbott to the failed rancher and future president Teddy Roosevelt. Knowlton shows us how they and others like them could achieve so many outsized feats: killing million of bison in a decade, building the first opera house on the open range, driving cattle by the thousand, and much more. Cattle Kingdom is a revelatory new view of the Old West.